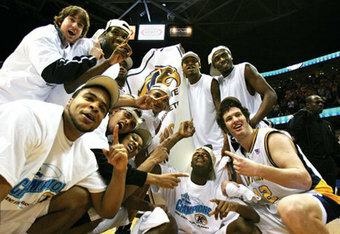 For all the talent they displayed in winning 19 consecutive games this season, and all the heart required to bounce back and grab the MAC title with their pot-dealing point guard on lockdown, Keith Dambrot’s Akron squad was still essentially operating in a dark, quiet corner of the basketball universe—nothing more than a name on a sheet of paper until that 9:45 tip-off on Thursday night. The stage is set for a rematch of last year’s MAC Championship game as the Akron Zips will take on the Ohio Bobcats for the automatic bid into March Madness on Saturday night at Quicken Loans Arena in Cleveland. This is both the expected outcome and the right outcome. Akron and Ohio have been the best teams in the MAC all season long and should be the teams to decide the champion. The Zips didn’t have an easy go of it against Kent State to get into the title game. The Golden Flashes brought an A-plus effort level with them to the Q on Friday night, but ultimately fell short 62-59. It was a back and forth game that featured a lot of defense, some flashes of brilliance on offense, and a whole lot of Zeke Marshall. The senior forward registered a triple-double with 18 points, 10 rebounds, and seven blocked shots. As good of a game as it was, both teams had their flaws. Kent State’s leading scorer Chris Evans didn’t score for the first 19:54 of the game, before a thunderous dunk that brought a collective “ohhhh” from the crowd. Evans ended with just six points on a 1-of-11 shooting performance. Akron’s troubles came at the free throw line, where they shot just 44.9 percent, bricking 16 of 29 attempts. The final four are the top four as the semifinal round of the MAC Tournament is scheduled to tip off at 6:30 p.m. on Friday night. One of the four teams will pick up the conference’s automatic bid to March Madness on Saturday, but there is still plenty of work to be done to get to the finals. The two teams in the early game have plenty of history with each other while the two teams in the late game have far fewer chapters written about their head-to-head meetings. On Thursday night, Kent State and Buffalo played a seesaw affair, with both teams getting big efforts from their top players. Kent State hung on for a 70-68 win to set up another meeting with the Akron Zips. Golden Flash Chris Evans led all scorers with 25 points and also recorded a season-high 15 rebounds, all on the defensive end. Randal Holt chipped in 17 to help the cause. For the Bulls, Javon McCrea scored 20 to set a school-record for points in a season with 593, but Tony Watson III led the Bulls with 23 in his final college game. It was a highly entertaining game and a tremendous effort from the Bulls, who were playing their third game in four days and didn’t look at all like the 20-loss team they ended up being. The Bulls only committed eight turnovers, but it was the Flashes’ commitment to rebounding in the defensive end that really hurt the Bulls’ chances. The Bulls pulled down 24 offensive rebounds in their first two tournament games, but managed just seven against the Flashes. The field of 11 has effectively been cut in half as only the top six remain in the MAC Tournament. The quarterfinals round will be played on Thursday night in Cleveland. Ironically, Kent State and Western Michigan, the two teams who had a bye to the quarterfinals, played each other in the quarterfinal round last season. Both the Flashes and the Broncos will have to overcome early jitters, as their two opponents are both 2-0 already in the MAC Tournament. In Wednesday night’s action from Quicken Loans Arena in Cleveland, both favorites moved on with double digit wins. The lower-seeded, but favored, Buffalo Bulls took care of business with a 76-61 win over the Ball State Cardinals. The Bulls turned up the intensity in the second half, scoring 46 of their 76 points and holding the Cardinals to just 25 points. The second half barrage erased a six-point halftime deficit. Javon McCrea had 18 points and 11 rebounds, but the story was Will Regan. The sophomore forward, who transferred from Virginia back to his hometown Buffalo, averaged 11 points per game this season. On Wednesday, he dropped in 36 points on 11-of-17 shooting, including five-for-seven from three-point range. Juwan Scaife held up his end for Ball State, scoring nearly half of the Cardinals’ points with a 28-point effort. Towards the end of the first half, Buffalo started a 29-8 run and made 16-of-25 shots in the second half. The Bulls had 19 assists and 13 steals against just 11 turnovers, while the Cardinals had 11 assists, just five steals, and 16 turnovers. In the late game, the Eastern Michigan Eagles advanced with a 58-47 win over the Miami of Ohio Redhawks. The Eagles had four players in double figures and did what they usually do on the defensive end, holding the Redhawks to just 35 percent shooting. The Redhawks made just seven two-point field goals. It was a sloppy game that featured 36 turnovers and 38 fouls. Allen Roberts, clearly hampered by his bad knee, managed just six points on 1-of-7 shooting. Will Felder and Jon Harris combined for more than half of Miami’s points with 28, 14 a piece. Derek Thompson had 14 to lead the Eagles, who started the second half with a three-point lead and opened it up to 11 with a 12-4 run after the break. The Buffalo Bulls, who have been playing very good basketball over the last four weeks, will face off with the Kent State Golden Flashes at 6:30 p.m. on Thursday night. 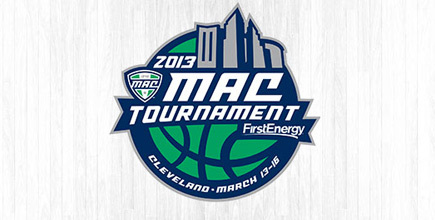 The #4 seed Flashes will be taking the floor for the first time in the MAC Tournament. The Bulls will be playing their third game in four days, after spending Tuesday making the four-hour trek from Buffalo to Cleveland. Fatigue could be a factor late. Kent State won both regular season meetings. In January, they won 80-68 in Buffalo and came away with an 83-81 overtime victory at home during the last week of February. In that February game, the two teams combined to take 134 shots. Javon McCrea had a triple-double with 32 points, 15 rebounds, and eight blocks. Four Golden Flashes were in double figures, led by Randal Holt’s 28 points. A similar game at the Q on Thursday would breathe some life into the tournament and could be a possibility. Over their last 10 games, the Flashes have scored no less than 68 points. The Bulls have scored 150 points in the first two rounds of the MAC Tournament. Both teams are playing with some confidence right now. The Bulls appear to be clicking at the right time and the Flashes have won five straight entering postseason play, including a 68-64 win at rival Akron last Friday. This game could have some fireworks and may wind up being one of the best of the tournament. The winner will face #1 Akron on Friday night. In the other quarterfinal matchup, it’s a battle of directional Michigan schools. East meets West as the Eastern Michigan Eagles take the floor for the third time in four days against the well-rested Western Michigan Broncos. The Eagles grabbed just their third win outside of Ypsilanti with Wednesday’s win over Miami of Ohio. The Broncos are 7-9 in road/neutral games on the season. The Eagles have won both games in the tournament thus far on the strength of their defense. Opposing teams are shooting just 32.9 percent (28-of-85) against the Eagles. They are not an offensively-gifted team by any means and their defensive prowess will have to carry them to victory over the Broncos. As for the Broncos, they don’t particularly excel in any facet of the game, but they do find ways to win. These two teams split their regular season meetings. The Broncos came away with a 63-59 win at home back in January. The Eagles took down a 50-49 overtime victory on March 2. The last four matchups between the two teams have been decided by a total of nine points, so expect more of the same here as the winner moves on and the loser goes home. The winner of this one will face #2 Ohio on Friday night. 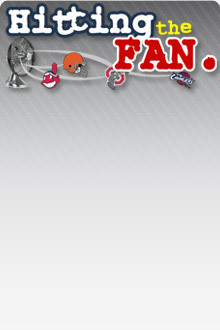 Both games can be seen on SportsTime Ohio. As the final survivors of the long Mid-American Conference season descend upon downtown Cleveland this week for the final rounds of the league tournament, you can almost see the glimmer of possibility in the eyes of each player and coach. Take care of business in C-Town and they’re off to the dance, with grand expectations of planting an upset on the lips Prince Charming and becoming this year’s Cinderella. And why not? The MAC has provided more than its fair share of glass-slippered beauties over the years, which is particularly impressive considering its long history of receiving little respect from the selection committee. Since tournament seeding began in 1979, only once has a MAC team entered an NCAA tournament game as the higher seed. And that was by accident - when 12th-seeded Eastern Michigan and No. 13 seed Penn State both somehow tumbled into the second round in 1991. While perpetually climbing uphill, the MAC has fared surprisingly well, collecting 30 tournament victories over the past half century, led by Ohio’s seven, Miami’s six, and Kent State’s four.